All American Limousine is a Top Ranked Limo/Car Services for Businesses in Chicago from last 21 years. We are a registered Vendor at O’Hare, Midway, McCormick Place / Hyatt Chicago, O’Hare Hilton, plus with all the major Hotel Chains & Airlines in Chicago. Partners with Chicago Events & Conventions for TRANSPORTATION/LOGISTICS for over 100 Companies and their Corporate Clients. We are the Safest/Quickest & completely Insured BLACK Car Service in Chicago at O’Hare/Midway Airports, PICK UP FROM TERMINALS IN 5-10 MINUTES, So feel free anytime all year to use our Black Polished Fleet with Professional Services for Yourself & your CORPORATE CLIENTS for Airport Pick Ups, AIRPORTS MEET & GREETS, Charters for traveling around Chicago land and all other Transportation needs. 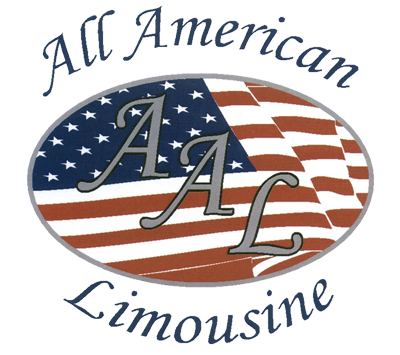 All American Limousine Services first began with 3 Town Car in the year of 1995. Since then, the company has grown into a phenomenal transportation company becoming one of the largest company owned fleets in the Midwest. With a brand new fleet and incomparable service, All American Limousine Services beats all customer standards going above and beyond set expectations. With All American Limousine Services, you will have the opportunity to control your time and destination; we will simply be along for the ride. Whether you are a corporate or leisure traveler, we will work hard to assure you have made the right decision in traveling to your destination. All American Limousine Services understands the need to schedule travel at any given time throughout the day. That is why All American Limousine Services has a dispatcher on call 24 hours a day to take reservation requests as well as advanced technology systems for customers who wish to make reservations online. Sit back, relax and enjoy the journey, as All American Limousine Services will deliver you to your destination on time and in style. Whether you are departing from a Chicago area private or public airport, All American Limousine Services is able to accommodate your needs providing you with a safe and reliable ride to your destination. We will customize our processes and services to fit your travel ideals ensuring a seamless experience from initial take off to landing. Our professionally trained chauffeurs will track flight information and work with you to assure proper drop off and pick up times, ultimately delivering the highest possible level of service. CONCERTS & SPORTING EVENTS make your next evening out to concert or sporting event more exciting by arriving in style with All American Limousine Services. Whether you wish to travel in a stretch limousine, private car or luxury Sedan, our transportation experts will work with you to choose the best option for your event from our fleet of new vehicles. Our chauffeur’s will handle the stress of traffic and parking as you sit back, relax and enjoy the ride. Interested in a enjoying a night on the town without the worry of travel? All American Limousine Services will take care of travel arrangements and assure you a night of excitement without the stress. Choose from our fleet of luxury Sedans, Limousines, SUVs or Buses making your night one to remember. Our management team has planned hundreds of events creating customized agenda’s to assure each night on the town is full of excitement.